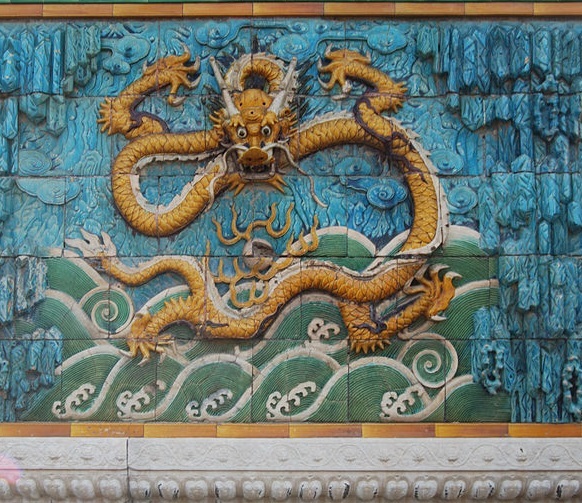 Detail of the Nine Dragon Wall in the Forbidden City, Beijing. Source: Wikimedia. Here comes yet another reader response to the debate on ‘theory’ in Martial Arts Studies. To shortly summarize the state of discussion: In 2011, D. J. Farrer and John Wahlen-Bridge (2011) announced the formation “Martial Arts Studies” as a new and distinct field of academic research. Since then, several contributions from within the field have articulated ‘the need for theory in martial arts studies’. Most recently, Paul Bowman, Ben Judkins and Stanford Chiou have taken up the discussion. All parties seem to agree that disciplinary biases and theoretical preferences will inevitably lead to a multitude of perspectives on the field of martial arts studies (or, with reference Bowman: to ‘martial arts’ being many (inter)disciplinary objects at once). This will, and already does, produce diverse, sometimes even mutually incomprehensible, research findings. All parties further agree that the audience interested in the findings and publications from the field of Martial Arts Studies consists of academics, non-academics (mostly assumed to be practitioners) and so called scholarly practitioners (standing in between the first two groups). In responding more specifically to Paul Bowman, who positions himself within a cultural studies perspective, Stanford Chiou, departs from consensus and takes issues with two of Bowman’s proposals. Distinguishing between theory (as guiding assumptions) and Theory (‘as mode of scholarship which has dominated the study of humanities in the West’). Chiou voices concern about ‘the nascent academic field of martial studies being hegemonized by Theory’. He especially takes issues with Bowman’s remarks and criticism of certain historical approaches to the field of Martial Arts Studies, to which Bowman has already responded. Chiou furthermore takes up the issue of the academic nature of a field of Martial Arts Studies which ‘will always be a kind of academic writing, first of all, and as such will always differ from and be likely [to] disappoint or attract the disapproval of practitioners’ (Chiou quoting Bowman). 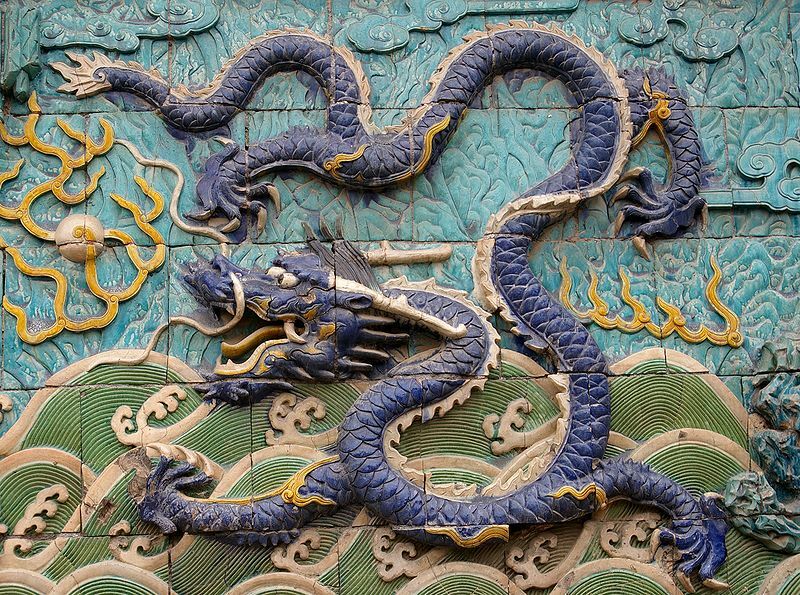 What Can Religious Studies Teach us about Researching the Martial Arts? In the following post I would like to contribute to the discussion by adding some insights from a Religious Studies perspective, which is my own academic affiliation. (Nascent) “Martial Arts Studies” and “Religious Studies” have quite a lot in common concerning the issue of (non-)disciplinary alignment and debates on theoretical orientation. The difference between them being that Religious Studies has been trying to solve its problems for roughly 100 years and may thus, in one way or another, serve as an illuminating example for the current case of Martial Arts Studies. Currently Religious Studies occupies a disciplinary position that is at best characterized as betwixt and between (or, more critically, as professionally dilettante). This is to say that Religious Studies does not have any methodological or theoretical ‘tool kit’ of its own, but depends on regularly ‘borrowing’ from other disciplines. This is due to the multifaceted nature of its object of study, which makes it impossible to reduce the study of ‘religions’ to one disciplinary focus alone (be it sociology, psychology, anthropology, literary studies, cultural studies, media studies, or history – I consciously do not include theology in this list, but I will deal with this later). Just as Bowman has exemplified in his contributions, this ‘methodological integration’ (PYE 1999) inevitably produces research findings (and an object of study), which are neither fish nor fowl, meaning that they will never meet the requirements of proper sociology, psychology, anthropology, literary studies, cultural studies, media studies, or history. But, and this is the hope and aspiration of ‘proper Religious Studies’, in the end this will lead to the ‘production of something new’ (in Bowman’s words) in the sense of valuable new insights. Frankly, this has often led to Religious Studies ‘only be[ing] a subset of different disciplinary discourses, displaying the features of the specific discipline within which it exists as an enclave’ (Bowman). Yet it has also saved Religious Studies from ever becoming too comfortable within a certain set of disciplinary biases or theoretical orientations. That is to say: it has forced Religious Studies to constantly reinvent itself for the betterment of its research. That a field of research can persist even under such (sometimes almost precarious) conditions can be seen in the more than 100 years of Religious Study’s global history. Correspondingly, for the benefit of research in the field of Martial Arts Studies, the necessary interdisciplinary nature of the field should tirelessly be upheld, mindful of the drawbacks this might entail. Historically this has included recurrent calls for abandoning Religious Studies as distinct field of research all together and resolving it into the above mentioned disciplines as proposed by Timothy Fitzgerald (see Fitzgerald 2000 for example). But, and this is important, Fitzgerald’s argument evolves from the discussion of ‘religion’ as analytical concept. Only if it is commonly agreed upon that ‘religion’ is a proper ‘(inter)disciplinary object’, does ‘Religious Studies’ make any sense. Hence, only based upon a common, even if controversial, discussion of the ‘martial arts’ as (inter)disciplinary objects, does a field of Martial Arts Studies make any sense. Taking the existence of ‘a thing (or many things) called martial arts’ for granted does not solve the problem in a proper, i.e. ‘academically sound’ and theoretically satisfying way (nor will it convince any critics). Hence, just as in Religious Studies where probably more than half of the time is dedicated to a debate on how to approach and define this thing called ‘religion’, Martial Arts Studies, too, needs discussions on how to theoretically approach and grasp ‘martial arts’. Because, in the end, this is exactly what will enable the constitution and perpetuation of an academic field of Martial Arts Studies. We need to acknowledge that ‘martial arts’ in the academic study of these practices are not simply given, but very much constructed through the respective theoretical tools used. It is the very act of conceptualizing the martial arts to make them an object of study, which unites the field of Martial Arts Studies. It is the many-voiced and controversial debate about how to theorize and conceptualize martial arts which constitutes the academic study of martial arts. And while scholars need not to agree upon a certain approach or definition of martial arts (on the contrary, it is often dissent that is the most productive), scholars need to make their research speak to each other (the present discussion of Judkins, Bowman and Chiou on the conjunction of theory and Martial Arts Studies being a perfect point in case). And this is where I come back to theology as another discipline dedicated to the study of religion. Within the discipline of theology, no doubt exists about the existence of ‘religion’. For many religionist outside academia, too, there is no doubt about the existence of ‘religion’ and both theologians and religionists most often have quite specific ideas about what exactly this ‘religion’ is and how it should be approached. This is precisely why theology and non-academic religionists will at times inevitably disagree with Religious Studies. In the same way, inside and outside academia there might exist different conceptions of what this thing ‘martial arts’ is. Hence, Martial Arts Studies, too, ‘will always differ from and be likely [to] disappoint or attract the disapproval of practitioners’ (Bowman, also quoted by Chiou). This does (and should) not prevent theologians or religionists from eagerly ‘consuming’ Religious Studies research. This phenomenon of academic research being consumed outside academia (and often adapted to quite different ends as intended by the academia or the individual researcher – just think about the adaptation of anthropological and social science research in missionary activities) has been called ‘vertical transfer’ (Gladigow 1995) in Religious Studies. This is exactly what we can also observe in the field of martial arts. And again, just as in the field of Martial Arts Studies, in Religious Studies, too, scholarly practitioners further contribute to the integration of these two audiences (academic and non-academic). Such integration, when it promotes wider reception of academic research outside the ivory tower of academia should always be welcomed. However, the very possibility for Martial Arts Studies to depart from understandings of martial arts as articulated by martial artists outside academia should be defended, too. This seems important not least, because the modes and cultural capital needed for the articulation of a legitimate statements about martial arts may differ in the two fields, that of academic Martial Arts Studies and non-academic martial arts studies. In the field of non-academic martial arts studies, a researcher not involved in any kind of martial arts experience, is likely to arouse suspicion, when trying to establish him- or herself as a legitimate voice speaking about martial arts (issues of age and gender most often complicate the matter for the researcher in question even more, though this might be equally the case in the academic field of Martial Arts Studies). In the academic field of research, however, this researcher’s credentials may be undisputed. Hence, this possibility of dissent, that enables Martial Arts Studies to reinvent the ‘martial arts’ in ever new ways. Sometimes these will be unacceptable for readers outside of academia. They may even find it inconceivable that such approaches are held in high esteem. Of course the academic study of the martial arts is not the only possible way to engage with them. In a sense, “martial studies,” of one sort or another, has existed ever since there have been practices called “martial arts.” And all these different ways of engaging with and studying the martial arts still exist next to the academic study of these practices. The way I see it, no way of engaging with the martial arts is better or worse than another; they are just different in both the means they use and the ends they pursue. I think that Martial Arts Studies as an academic field can only persist if both scholars and practitioners understand the limits of what it can contribute to martial arts discourses in general. They must also understand that it cannot and does not want to replace any other way of engaging with martial arts. Even if the cultural capital of a university professor can be sometimes intimidating, he or she is in no way more qualified and authorized to speak about martial arts than a longtime practitioner, nor the other way round. It is just that both will most likely experience, understand and talk about martial arts differently. This must be true because the ‘rules’ (pre-)structuring the academic and nonacademic discourses on martial arts are different. When contributing to either one, any speaker (practitioner, scholarly practitioner or scholar), I would propose, should play by the respective discourses’ rules. This is especially important for scholarly practitioners, who are potentially able to participate in both academic and non-academic discourses. They especially should always be open about in what ‘role’ or ‘function’ (as scholar or as ‘sole practitioner’) they speak when talking about martial arts. This, of course, demands a certain amount of self-reflexivity of all participants involved; they always need to clarify to which kind of discourse they seek to contribute (or to what discourse a specific work that they read belongs to). In other words: Not everything written about martial arts is a contribution to academic Martial Arts Studies. Not everyone can participate equally in every discourse on martial arts; a practitioner without an academic educational background may lack the skills to participate in Martial Arts Studies, whereas a scholar without proper martial arts practice surely lacks the skill to participate in other discourses on martial arts. But, both of their contributions to either discourse should be valued in all their difference. Farrer, D. J. and John Wahlen-Bridge 2011. Martial Arts as Embodied Knowledge. 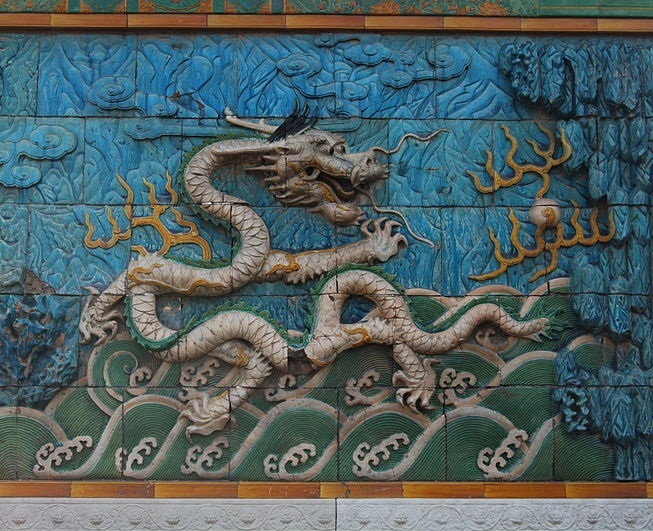 Asian Traditions in a Transnational World. Albany: State University of New York Press. Gladigow, Burkhard 1995. ‘Europäische Religionsgeschichte.’ Lokale Religionsgeschichte edited by Hans G. Kippenberg and Brigitte Luchesi, Marburg. Pye, Michael 1999. ‘Methodological Integration in the Study of Religions.’ Approaching Religion, edited by Tore Ahlbäck. Åbo, Finland (Donner Institute for Research in Religious and Cultural History). 1:188-205. Timothy, Fitzgerad 2000. The Ideology of Religious Studies. New York: Oxford University Press. About the Author: Esther Berg, M.A. is currently writing her dissertation in Religious Studies at the Cluster of Excellence ‘Asia and Europe in a Global Context’ at Heidelberg University, Germany. The aim of the Cluster is to explore processes of exchange between and within Asia and Europe, ranging from migration and trade to the formation of concepts and institutions. Her fields of interest include rethinking martial arts from a religious and cultural studies perspective, focusing on questions of martial arts and media; martial arts as embodied practice and the transcultural origins of the contemporary global field of martial arts as well as the transcultural dynamics of identity formation and late-modern modes of subjectivation within the field of charismatic and Pentecostal Christianity, especially focusing on charismatic megachurches in Singapore. 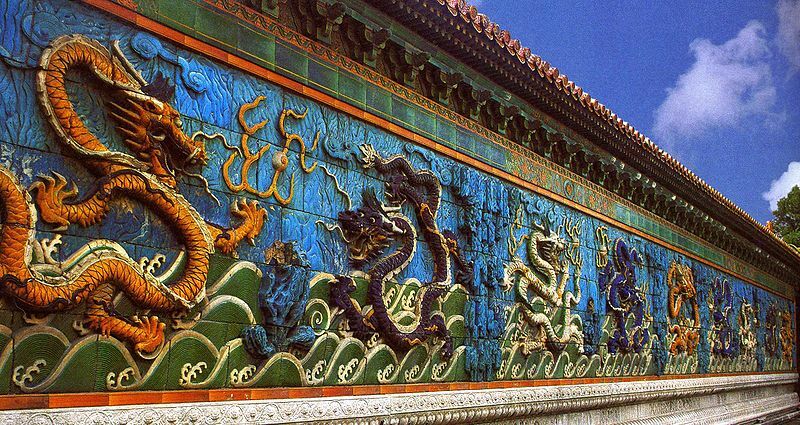 The Nine Dragon Wall in the Forbidden City, Beijing. Note that the full beauty of the wall can only be seen if one takes a step back and looks at it from multiple perspectives. Source: Wikimedia.